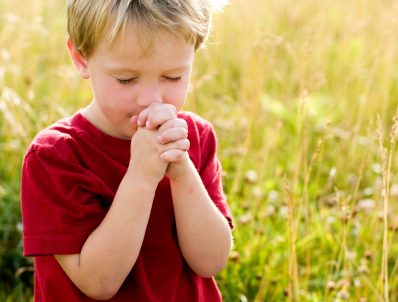 Home » Listener Letters » Why does God let a 4 year old die? Why does God let a 4 year old die? I received an email recently from a UK listener who has a friend – not a Christian – whose 4 year old died a few years back. She’s still deeply affected by the tragedy. Jeanette’s problem was this: What do I say to her? She wants to know how God could have let this happen. You ask one of the toughest of all questions to ask. Why is it that God allows a little child like that to be taken so early in life? The Lord does some things sometimes that completely defy human logic. I stumbled across an old poem some years ago called “The Weaver”. It’s one that I’ve committed to memory – because it’s been a source of great comfort to me. I cannot pick the colours as He weaveth steadily. as the threads of gold and silver in the pattern He hath planned. Who knows how the Lord will use this tragedy in your friend’s life, together with the love and concern that you have for her. My suggestion is simply this – be there with her and for her because right now, whilst everyone else’s life has returned to normal, hers has not. Open your life and your home to her. Cry with her, walk with her and be her strength … and at some point share your faith with her. It will come as naturally as everything else. And when she asks about this God who allowed her child die, tell her about your God, the One who allowed His Son die for her. He knows precisely how she feels, not just because He’s God and He knows everything, but because He’s the God who has walked in her shoes and watched His Child die too. It was in such a tragedy in my life (different to your friend’s, but no less painful) that some friends of mine did these things for me. If you ever met a person of whom you’d say – “That one couldn’t possibly ever become a Christian!” then that would definitely have been me. They were there for me, they loved me when I was difficult to love, they cried with me, they opened their home to me, they shared their faith with me. Now to tell you the truth, I can’t remember much of what these friends said, but I will never forget what they did. That’s the thing that I believe the Lord has laid before you. Be blessed and above all pray for her. That’s the most powerful thing that you can ever do. Why Don't I Feel Quite As Good as I Should?